Many Bollywood A-listers including Karan Johar, Kajol, Asha Bhosale, Hema Malini, Anurag Kashyap, Karishma Kapoor, Arjun Kapoor and Shahid Kapoor walked the ramp for designers at the Lakme Fashion Week in Mumbai. 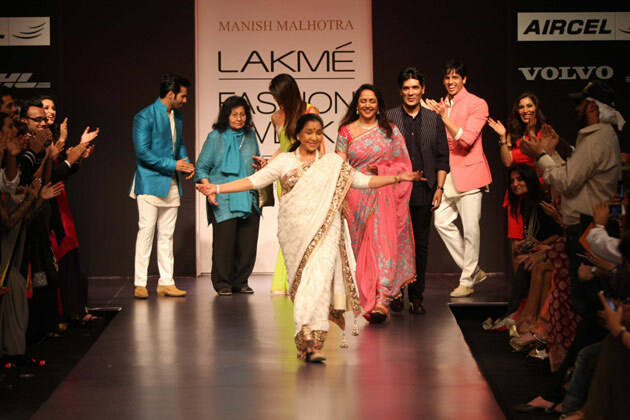 Asha Bhosle made her runway debut by walking for Manish Malhotra’s show, the audience cheered her with a standing ovation while she walked the runway in style. Karishma Kapoor left the fashionistas dazzled when she walked the ramp for designer Shehla Khan on the day two. Karishma, a mother of two, looked stunning in a powder pink Chantilly dress with chiffon panels and gunmetal lace embroidery. 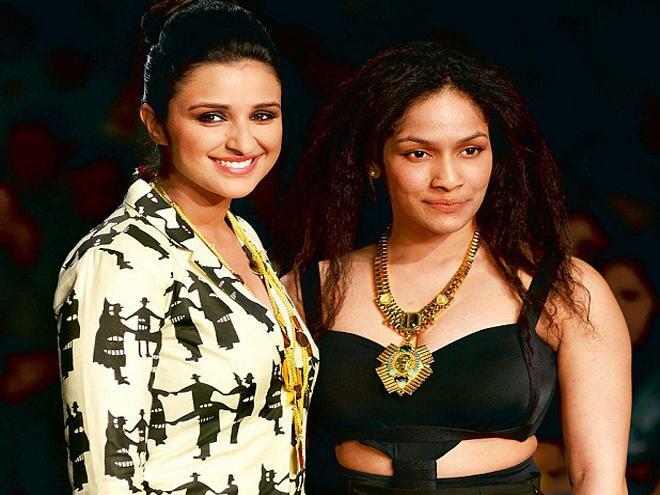 Parineeti Chopra walks the ramp alongwith designer Masaba displaying her collection on the first day of Lakme Fashion Week 2013 in Mumbai. 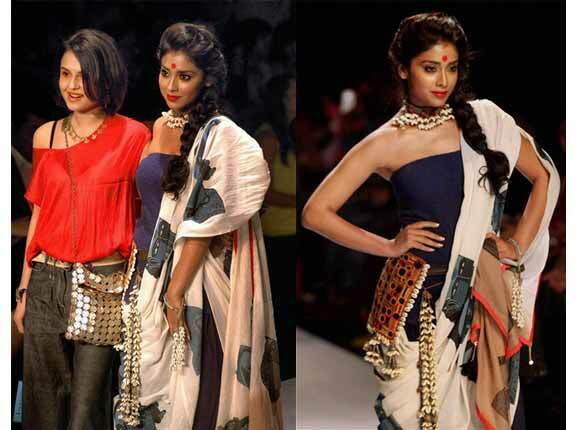 Actress Shriya Saran turned up as the showstopper for designer Asmita Marwa who used a mix of mirror work, shells and antique prints to bring forth a gypsy look in her creations. Bollywood actors Shahid Kapoor and Arjun Kapoor walk for Kunal Rawal’s show. Today is day 3 at Lakme Fashion Week and we just can’t wait to give you all the updates. Stay tunned!! !